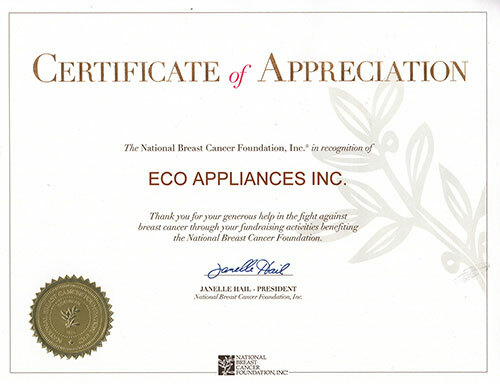 lobal appliance leader Equator Advanced Appliances is proud to partner with the National Breast Cancer Foundation (NBCF) to donate a portion of proceeds from the sales of its new limited edition pink Super Combo washer-dryer. Equator will donate 10% of proceeds from every pink EZ 4400 CV Super Combo sold nationwide through the end of 2016. Proceeds will go toward early detection and support services, education and continuing research to eradicate this all-too-common dreaded disease. Breast cancer affects 1 in 8 women throughout the nation. Through NBCF’s dedication to beating the odds, the organization has provided nearly 937,500 health and early detection services to underserved women since 2001.